Colonialism in China was a piecemeal agglomeration that achieved its greatest extent in the first half of the twentieth century, the last edifices falling at the close of the century. The diversity of these colonial arrangements across China’s landscape defies systematic characterization. This book investigates the complexities and subtleties of colonialism in China during the first half of the twentieth century. In particular, the contributors examine the interaction between localities and forces of globalization that shaped the particular colonial experiences characterizing much of China’s experience at this time. 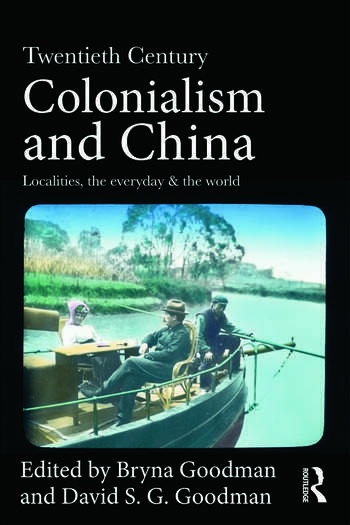 In the process it is clear that an emphasis on interaction, synergy and hybridity can add much to an understanding of colonialism in Twentieth Century China based on the simple binaries of colonizer and colonized, of aggressor and victim, and of a one-way transfer of knowledge and social understanding. To provide some kind of order to the analysis, the chapters in this volume deal in separate sections with colonial institutions of hybridity, colonialism in specific settings, the social biopolitics of colonialism, colonial governance, and Chinese networks in colonial environments. Bringing together an international team of experts, Twentieth Century Colonialism and China is an essential resource for students and scholars of modern Chinese history and colonialism and imperialism. Bryna Goodman is Professor of History at the University of Oregon, USA. David S G Goodman is Professor of Chinese Politics at the University of Sydney, where he is also Academic Director of the China Studies Centre.